I just can’t take it anymore!! I need some bathroom accessories…something…anything! As you can see from my previous bathroom post, there is nothing on our walls (aside from the paint) and storage space is limited! The undersink area is crammed with shampoos, lotions, medicine etc. so, nothing more can fit. 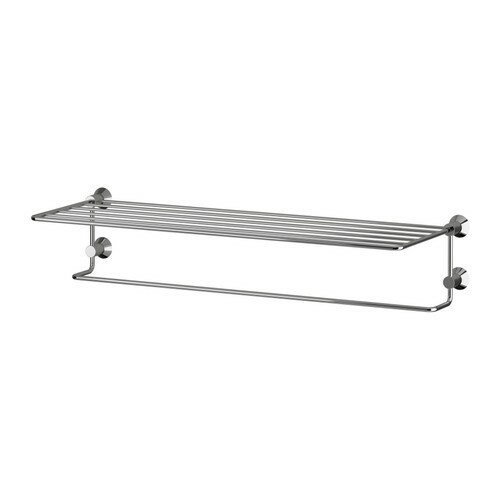 I’ve been browsing for bathroom hardware and other accessories but I’m still debating what pieces would work best. 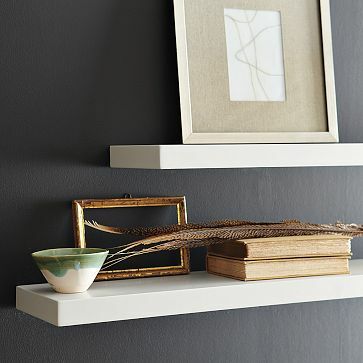 I also like this simple and sleek white shelf from West Elm. 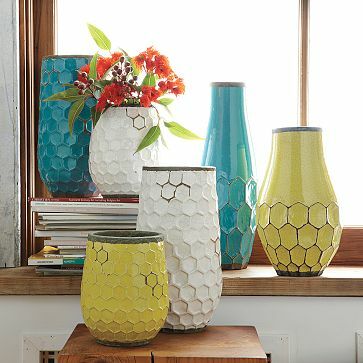 Stack one on top of the other or place a towel bar directly below it…either way, I’m a fan. 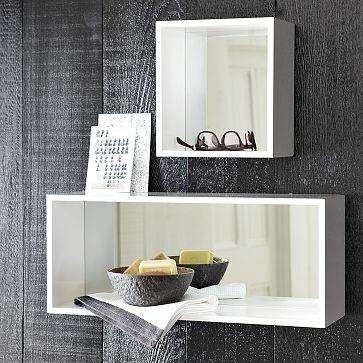 A wall box like this one, also from West Elm, works too and it would be a crafty way to store bathroom essentials! AND it doubles as a mirror! S-aa-weeet! Folks, I think we have a winner! 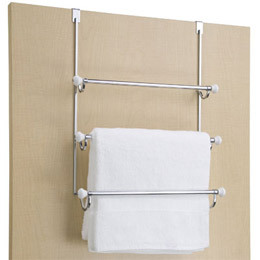 The Container Store has an over-the-door towel rack that I love!! I’d have to wait until we switch the door hinges so that it doesn’t cause damage to the wall but this little fella is an ideal space saver- it would free up the wall above the toilet for other shelving and it would put the towels closer to the shower. Okay, now for the other wall. I’d like to hang some artwork in this area to take away from the radiator below it- either a large frame with a small print, or two small framed pieces side by side (I’m torn). 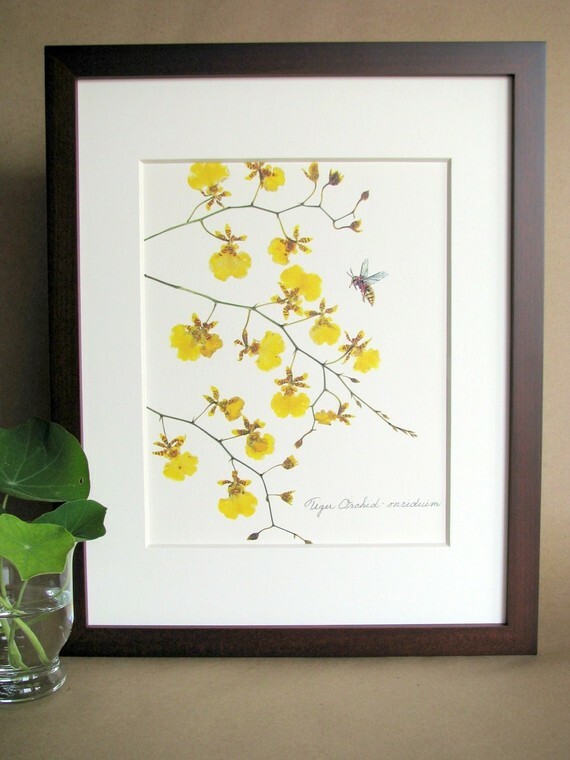 I also like this one, also from Etsy for $24 which adds a punch of yellow to my ALL blue bathroom. 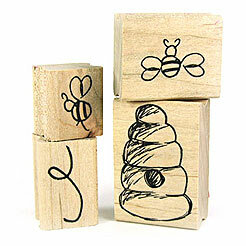 Or why not just use a rubber stamp like the ones below and make it a DIY project?? 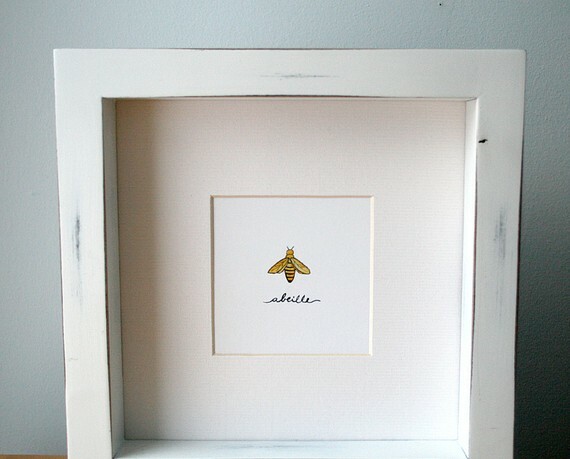 Just buy a modern white frame and matte and you’ve got yourself a masterpiece!